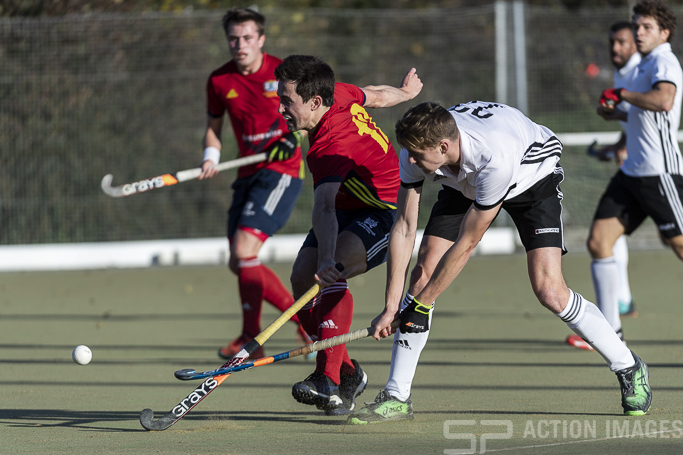 The M1s travelled to league newcomers Peterborough on Sunday looking to continue their unbeaten run, while being wary of the home team’s old school pitch giving them an advantage. Southgate got off to a slow start and Peterborough opened the scoring via a Joe Finding penalty corner in the tenth minute. This stirred the M1s into action and the lead was short lived as two minutes later Simon Walker levelled the score. Another three minutes later and Giulio Ferrini put the M1s ahead with a tomahawk from the edge of the circle. With Southgate firmly on top, Sam Mee got their third in the eighteenth minute. After the interval, Peterborough had reorganised and initially held Southgate who were guilty of conceding several cheap turnovers, but it was short lived as Mee got his second to extend Southgate’s lead in the fiftieth minute. John Sterlini got Southgate’s fifth six minutes later from a penalty corner, and Captain, Thaddeus Rivett, added to the score line getting his first goal in three seasons in the sixty second minute. Adam Grout got Southgate’s seventh and Ferrini completed his brace and the scoring three minutes from time. This victory sees the M1s up to third in the table and they now go to the big spending league leaders, Old Georgians, in their final league match before the winter break where they face an unbeaten side containing the mercurial talent of Ashley Jackson. Great Britain star, Jackson, is the current leading scorer in the Dutch League and has been signed by Georgians on a short term contract during their long break.